Nearly 5,000 members of the Stoney Nation live in rural Alberta. With a full spectrum of governmental services, they were having difficulties with employee attendance and numerous other payroll issues. 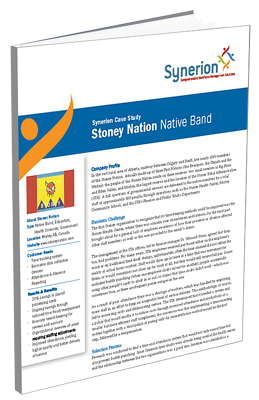 Find out how Stoney Nation was able to automate its 800 staff members to greatly reduce costs and improve employee turnout through an automated time and attendance system. By submitting this form to access this webinar you are consenting to receive email communication from Synerion regarding our services and other educational information. You may unsubscribe at any time.